We haven't found any digital download available at this moment for this currency, but we found availability in other currencies: 18.23 € . Playing out like a mixture of the boss fights from classic 2D Zelda games and the criminally overrated Shadow of the Colossus, Titan Souls offers a very focused, challenging experience but which is rather limited in its appeal. The game takes the idea that between our world and the one beyond, there lie the Titan Souls, which are the spiritual source of all things. 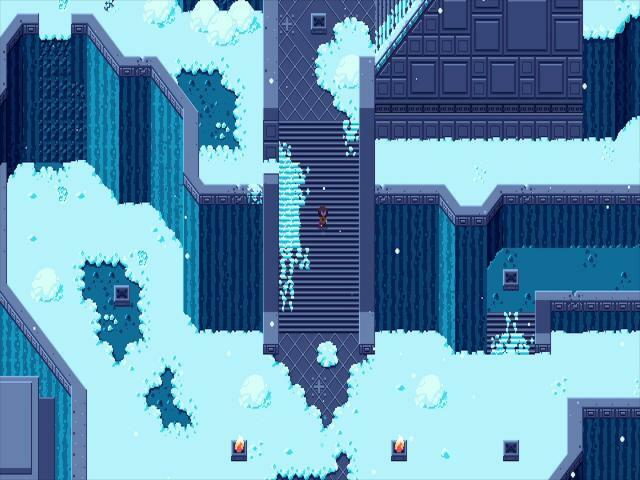 They are now scattered amongst the ruins of the past and guarded by idle protectors, but a lone hero is searching for the shards of the Titan Souls as part of an epic quest to find power and truth. What follows is basically a long series of pure boss fights, where you first explore a set of ruins before finding the beasts and engaging in one-on-one combat with them. You're armed with little more than an arrow and your wits, while they each have access to a range of skills and abilities. The whole thing is a mix of action and puzzling, as you have to figure out the bosses' weaknesses first and then attack them to bring them down. That's pretty much it for the game, and what you see when you start playing is basically it for the whole running time. It can be a tough game, thanks to instant death, while there is little real variety in terms of gameplay. Titan Souls is also pretty short, running to about 4-7 hours depending on your skill level, even factoring in the exploratory aspects. The visuals are nice in an old-school Zelda way and if you did like SoTC, you'll probably enjoy this. However, it's not for everyone so take a look at some videos before trying it out.